To stop piracy malwarebytes is offering free 1 year premium version. Malwarebytes' Anti-Malware can detect and remove malware that even the most well known anti-virus and anti-malware applications fail to detect. It is a light-weight anti-malware program that is excellent at removing the latest detection. Malwarebytes Anti-Malware is an easy-to-use anti-malware application available in both a Free and Premium version. The Free version is well-known for its detection and removal capabilities, and the Premium version uses advanced protection technologies to proactively stop malware infections. Additionally, Malwarebytes offers a host of extra utilities as well as an approachable forum community to help you combat any piece of malware that exists in the wild. 4. 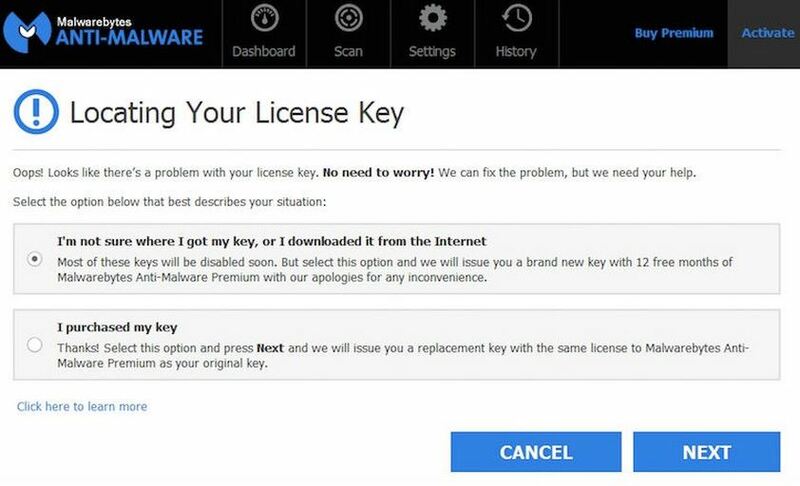 Just after you complete this option, the company will issue you the 12 months premium subscription or it will issue a replacement key for the same amount of your purchased key. By malwarebytes-anti-malware-premium offering great design and quality content.